If you are not using an Admissions CRM Software program or one that works well for you, you may be losing students to other colleges and universities! When you look at the statistics regarding college admissions, you will see that it is getting much more competitive both for students and for colleges and universities. There are more students applying to college than ever before. And, there are even more students applying to multiple colleges, believing that additional college choices will ensure they get a perfect match or at least get them into a college. Let’s look at the statistics and why this means that colleges and universities must embrace recruitment and admissions CRM software, if they are going to keep up. Each year, US colleges and universities receive hundreds of thousands of applications from first-time domestic students, transfer students and international students. Obviously, not every college or university will see these types of numbers. But, when you compare the number of applications to the target class sizes, you realize that the huge number of students that don’t get accepted will have to apply to other colleges. This creates a trickle-down effect where colleges and universities are inundated with applications. Many from students who are applying just in the hope of being accepted. 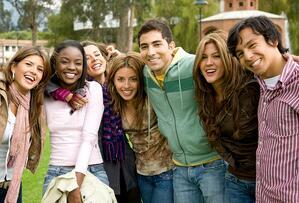 College visits and campus tours have become a huge part of the recruitment process. Schools know that this increases the chance of receiving an application from those students. The following chart shows the number of colleges that students are visiting, applying to and being accepted by. “In fall 2017, some 20.4 million students are expected to attend American colleges and universities, constituting an increase of about 5.1 million since fall 2000 (source),” according to the National Center for Education Statistics. When you take into account that 30% of those 20.4 million students were applying to 7 or more schools, that represents 42.84 million applications. And, that doesn’t account for those who submitted applications and weren’t accepted to any of their colleges. Bottom line...the numbers are staggering! Does your college or university have a plan to track and manage all of these prospects and applicants? With more and more companies requiring college degrees to even get their foot in the door for a job interview, these numbers won’t be going down any time soon. The increase in application volume has created a growing burden on admissions office staff who have to evaluate prospective students for admission. “According to Admission Trends Survey (AD) results, the average number of applications for each admission office staff member (excluding administrative staff) is 854. The number of applications per admission officer increases with both applicant selectivity rates and enrollment size,” the National Association of College Admission Counseling reports. 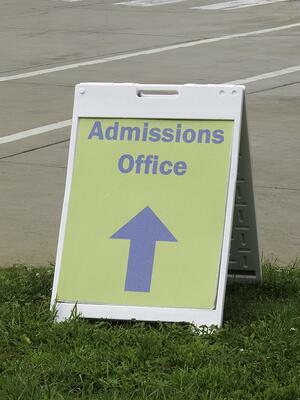 “As May 1st approaches, the tension is palpable in college admissions offices across the country. This is the day on which the admissions staff is expected to have met their enrollment goals for the following school year. Incredibly only 34% of four-year institutions in the United States actually achieved this in 2017.” according to College Transitions. One way for admissions officers to up their yield rate is to admit students that have “demonstrated interest” in their school through social media engagement, email contact, a campus visit, or attending a regional admissions event. But that requires a tremendous amount of outreach, engagement and contact with prospective students. So, what does all of this mean for colleges and universities? It is becoming increasingly imperative for them to implement recruitment and admissions CRM software to manage all of the activities that are necessary to effectively succeed at admissions. With ever-increasing numbers of prospects and applicants to manage, the cost of hiring more staff to handle this process manually is not feasible when you can use a CRM software program to help you do it faster and more effectively. Counselor Management - Tracks communicating with high school counselors concerning information on the students who have applied to your institution. Prospect Management - Allows you to manage relationships with prospective students from all sources, strengthen your marketing initiatives, and attain your recruiting goals while delivering unprecedented service. Email & Text Messaging - Allows you to create, send and track emails and text messages. Call Campaigns - Allows you to build your schedules, define a population, and cultivate your prospects by bringing them the human touch. Campus Tour Management - Works in coordination with your web portal as a means for your prospects and applicants to see your tour availability and to schedule their campus visit. Event Management - Maintains all aspects of creating and hosting recruiting events. Travel Management - Allows you to plan, approve, and measure the ROI of trips by your recruiting staff. Application Management - Simplifies your entire admissions process and allow you to run a results-oriented admissions office. Scholarship Management - Makes it easy to promote and track all scholarships at the institution. Document Management - Helps manage the large volumes of documents needed as part of the admissions process. Payment Management - Allows you to integrate with third party vendors to collect application fees, enrollment deposits, and other admissions related payments. Report Management - Gives your staff access to real-time reporting and data modeling. Data Imports - Gives you the ability to consume data from many other sources, such as SAT, ACT, GRE, GMAT, CommonApp, XAP, Coalition, Parchment, and Scribbles. Statistics for higher education show the increasing number of prospects, applications, communications and activities that colleges will need to be able to manage as part of the recruitment and admissions process. And, these numbers are only expected to rise. In order to compete as efficiently and cost effectively as possible, colleges and universities must look for ways to use technology to manage the process. It is important to do your due diligence and really know what you are getting in a recruitment and admissions CRM before you buy. How do you do this? Demo, Demo, Demo! And don’t forget to ask lots of questions. You will have to live with your choice of software for years to come, so it is imperative to choose the right one for your school. You can learn more in our recent article, Following the Crowd May Not Be The Best Solution for Your College’s Admissions Process.